Welcome to the Medicine Hat Burns Club! 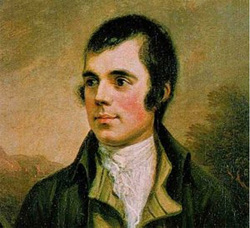 ﻿Robert Burns (25 January 1759 – 21 July 1796) (also known as Rabbie Burns, Scotland's favourite son, the Ploughman Poet, Robden of Solway Firth, the Bard of Ayrshire and in Scotland as simply The Bard) was a Scottish poet and a lyricist. He is widely regarded as the national poet of Scotland, and is celebrated worldwide. He is the best known of the poets who have written in the Scots language, although much of his writing is also in English and a "light" Scots dialect, accessible to an audience beyond Scotland. He also wrote in standard English, and in these his political or civil commentary is often at its most blunt. Established in 2008, the mandate of the Medicine Hat Burns Club is "to gather a group of like minded individuals, who wish to preserve and promote, the memory and talents of Robert Burns and all relevant aspects of Scottish culture." Membership is open to all men and women over the age of 18, and of good report, who wish to support our mandate.